On the opposite extreme from VisualPulse is InfoCare from SilverBack Technologies. Unlike the other products reviewed, InfoCare is a service that includes a hardware-based solution (InfoNest), which comes as an attractive dark green 1U rack-mountable system based on Windows 2000 Server Embedded. With the product, SilverBack sends out a technician to help set it up. It sells exclusively through a channel; partners set pricing, which depends on services rendered. Following initial setup, you can configure additional features or make changes to the configuration—or SilverBack can do it for you remotely. InfoNest, once powered on, also creates a virtual private connection (VPN) connection back to SilverBack to allow technicians to monitor the product, as well as make configuration changes, install product upgrades and so on. If the VPN fails, InfoNest comes with a modem so that SilverBack can dial in to troubleshoot (you provide the phone line and number). Configuration changes are performed via a Web-based interface. 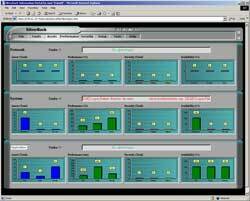 You can configure Assets, which are basically the computers, IP subnets or other network devices to be monitored. If these assets also contain services you want to monitor (InfoCare supports monitoring DNS, HTTP, NetWare, SMTP, Exchange, Oracle and SQL Server databases and so on), you’ll need to configure the assets before configuring services. Note: Because InfoCare resides on your LAN but isn’t actually part of your domain, you’ll need to arrange Windows user accounts under which it’ll connect to network resources. I ran across a problem using the NT-style DOMAIN\username combination but was able to configure users properly using Active Directory-style User Principal Names (UPNs) in the format username@domainname. InfoCare doesn’t require installation of any agents on monitored systems for most situations. I was able to monitor the nodes, all IP services, databases and almost everything I needed without installing any agents. However, if you need to monitor Exchange 5.5 performance (Exchange 2000 isn’t yet supported but may be by the time you read this), Oracle performance, SunOS or Solaris systems, or Linux or HP-UX computers, you’ll need to run scripts or install agents. This isn’t necessarily a problem, as these agents provide additional information that there’s really no other way to get, but I’d prefer to not use them. InfoCare is an interesting solution, and having someone there to assist is comforting. One source of concern is that there’s no way to do a clean shutdown of the machine yourself. The power switch on the back will turn the machine off, but, with a SQL Server and other Windows-based programs running inside the box, I was a bit uneasy about it. A shutdown option from the menu would be nice. 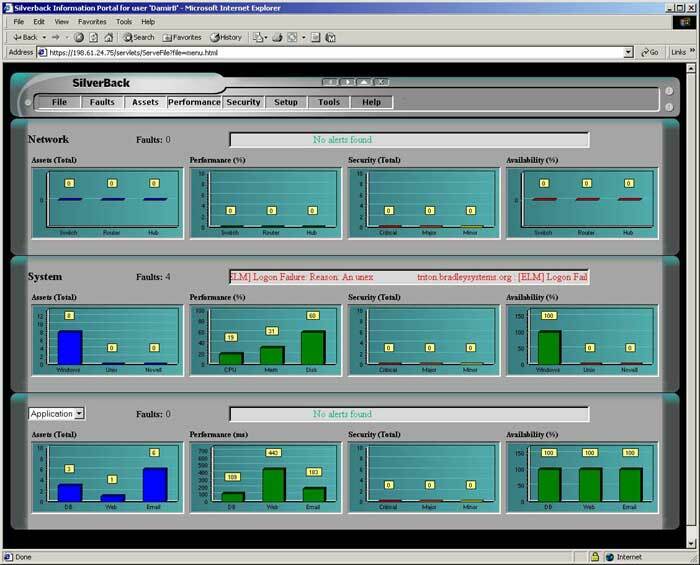 InfoCare 3.5, ranges from $300 to several thousand per year, per device (according to the company, partners set the prices based on a combination of solution and services offered); SilverBack Technologies Inc., (978) 670-9944, www.SilverBacktech.com.